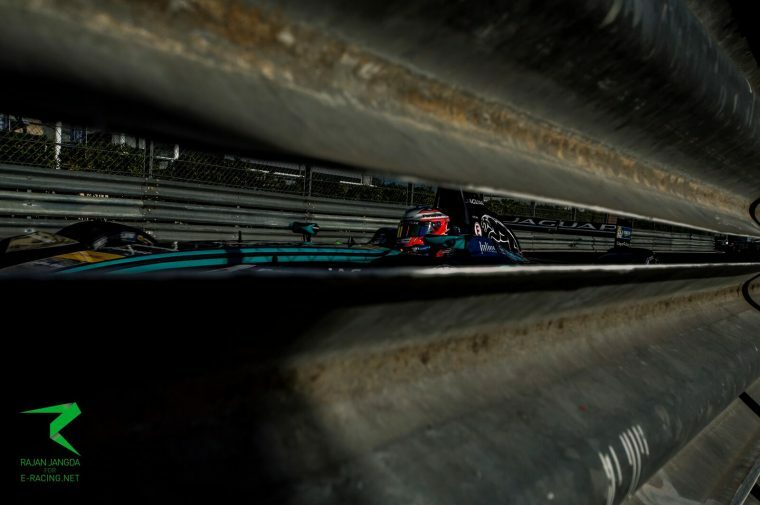 Following a debut points finish for both Mitch Evans and Adam Carroll in Mexico City, Panasonic Jaguar Racing was hopeful of adding to that tally in Monaco. Evans just missed out in 11th place, but benefited from a 33 second penalty for Antonio Felix da Costa to take home a single point. 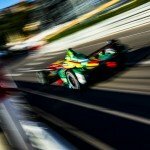 The Panasonic Jaguar Racing squad showed huge progress in Mexico City when they took home a double points finish and hoped for more of the same in Monaco, but struggled for pace in qualifying and lined up 14th and 17th. Evans made a good start to rise up to 12th on the opening lap and made progress into the top ten but dropped to 13th following the pit stops. The Kiwi fought back amongst the like of Nico Prost, Robin Frijns and Oliver Turvey and ended the race in 11th, soon to be promoted to 10th as da Costa was penalised for an unsafe pit release. Having started 17th, Carroll spent the majority of the race scrapping with the Faraday Future Dragon Racing duo of Loic Duval and Jerome d’Ambrosio but ultimately could progress no further and came home 14th. “It was positive day for the team. To make our European debut and then score points in our first ever Monaco ePrix is special. It was another great learning opportunity to refine how we approach our race strategy from our one-lap pace to our energy management. We were a bit conservative in qualifying with Mitch, and Adam had some contact on his qualifying lap so we started a little further back than we would have liked. Fourth place in Mexico City was an exceptional result for the Kiwi in his first season and Evans hoped to add to that tally in the Principality. 14th place on the grid left some work to do for the Jaguar driver, but Evans did his utmost to progress up the order and crossed the line only a handful of seconds from tenth place. but soon was given a reason to celebrate as he was elevated up to tenth place following a penalty for da Costa and added another point to his championship record. “I really love racing in Monaco. We made up some places in the race and came away again with valuable points for the second race in a row – we are making solid progress. Off the back of his maiden points in Mexico City, Carroll came to a circuit in which he has enjoyed previous success and aimed for another top ten finish. The day didn’t go to plan for the Ulsterman, however, as a 17th place grid slot already served as an inconvenience at a track known for its lack of overtaking. Carroll spent the majority of the race battling with Duval and d’Ambrosio and brought his Jaguar home in 14th place. 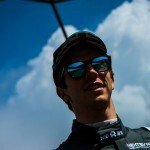 “It was fun to be back racing in Monaco. I have great memories of racing here and today’s race was really exciting. Racing a technical circuit like this while managing your energy and pace brings its own challenges.